Since his first full day in office, President Obama has prioritized making government more open and accountable and has taken substantial steps to increase citizen participation, collaboration, and transparency in government. While this is a great initiative that the government has taken, I think we tend to ignore the more personal aspects of data. We feel that government should open up it’s own data and that we have every right to view it and analyze it. However, what we don’t sometimes consider is our own data and who has control over that data. I recently have experienced this in a big way because of my weight loss. You see, I’m a numbers guy. Everything I do has a quantifiable result and if there isn’t one, it bothers me. It bothers me because I can’t measure my success or failure based on subjective outcomes. Of course, this isn’t in all areas of my life, but in areas where I can and need to, I want to be able to analyze my data. Let’s take for instance, tracking what foods I eat. I love participating in the Weight Watchers program. While it’s not for everyone, it allows me to stay within the range of what I should eat without having to worry about minuscule details such as the balance of carbs and protein (Weight Watchers has the balance of these built into their program). On the back end of this, Weight Watchers keeps track of my macro-nutrients for me. If I want to see them, I can go in at any time and take a look to see the hard data behind their science, which is very reassuring. But that’s where the open data ends. If I want to keep track of this data anywhere else, such as in a data aggregation tool or the like, I have to now manually re-input the data. This may not be a large task for food tracking, but as you will see, the amount of data I track would be unwieldy to have to enter twice. The data that Weight Watchers has about me is locked into their system. I cannot export it to any other system to allow me to analyze trends or link it with other data. Another great example of this is Apple Health. Apple Health itself is a data aggregation tool in and of itself, but it also tracks data from my Apple Watch. My steps and heart rate and other metrics about my day are stored within Apple Health and that’s where the openness ends. 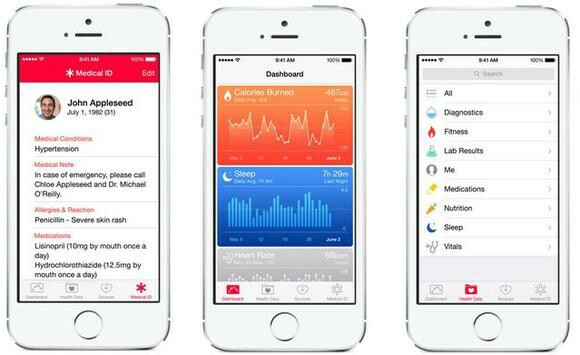 You may be saying right now, “But you can tap into Apple’s API to allow data to come from Apple Health”. And you’re completely right. I can. Being a developer, I could easily write an app to take the data that is in there and then put it into a database of my choosing. However, once again, this isn’t practical. If you’re not a developer, there is no way for you to take this data into a custom database that you want to track things in. Even as developers, it’s not realistic for us to build an app just to export our own data into a custom application. So what is the solution? What should be the standard that we expect from software companies that provide metrics for us? In my mind, I believe we should expect them to provide, at the minimum, an API for access to the data. Apple Health allows you to export your data, which is a step in the right direction, but a manual export of data isn’t sufficient when you are trying to track real-time statistics. Weight Watchers simply doesn’t provide any way to interact with their data. I don’t believe this is an unreasonable expectation or burden for companies. They already have to build methods into their programs that allow access to their data. They simply need to provide this same access to authenticated users outside of their applications. I realize with this type of data, this is a sensitive subject. There are quite a few folks that would never want this type of data shared externally. That is a valid position for them to have. However, the companies can just build in a mechanism that allows users to opt into the service, understanding that just like any other data, theirs could be retrieved by malevolent means. So I call for those conglomerates and small businesses alike that provide data about our bodies and activities to allow API access into their systems if the user chooses it. It would allow anyone who wants to, to take their data and do with it as they please. This issue will become more critical as we become a much more connected society. The Quantified Self movement in itself is gaining steam and is tracking more and more metrics as the days go on. Let’s make our data accessible to those who want it and make it an easy, automated process. We deserve that as end users and we need to give it to our end users as developers. Innovator and full-stack developer. I write code for fun and profit.